At the end of the day, there’s nothing like kicking back and relaxing with a video game you love. For adults and kids alike, game consoles represent hours of entertainment at home — but what about when a new game console isn’t built into your budget? When you’re interested in adding gaming to your home entertainment options, there is a way to buy a console — beyond rent-to-own game consoles. While rent-to-own gaming consoles work in some cases, there’s a better option at Conn’s HomePlus: YES MONEY®. Through this unique financing program, we make it possible for you to find financing, even if you’ve been turned down elsewhere. Then, you’re able to buy the console you want and start enjoying endless hours of fun. Apply online to receive an answer instantly, and you may be able to buy that game console today. 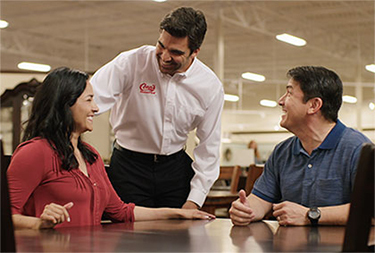 We’ll work with you to make sure you get exactly the product you want, when you want it! Enjoy your favorite video games on the highest-quality consoles, complete with gadgets. Whether you prefer Nintendo or Xbox, we have you covered. The problem with rent-to-own gaming consoles is that working with a rent-to-own program often gets complicated and confusing. More than that, it takes time — time that could be better spent having fun playing games at home. With the YES MONEY® program from Conn’s HomePlus, you trade hassles for convenience, so you can get gaming as soon as possible. When you apply online, you can be approved instantly. * No matter what your credit history or where else you’ve been turned down, we’ll work with you to try to get you financing. This way, you can qualify faster and more easily for the game console you desire. When you’re ready to add a new game console to your life, come to Conn’s HomePlus. Apply for our electronics financing and you can get an answer on qualification instantly. 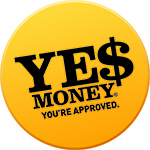 Are you ready to join the 5 million people who are already using our YES MONEY® program to buy the products they need? Contact us to learn more!